Western blotting employs antibodies to identify proteins of interest in complex protein mixtures such as cell extracts and is a cornerstone of biomedical research. 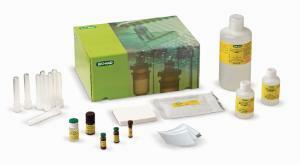 For example, it is used as the confirmatory diagnostic test for HIV and mad cow disease. 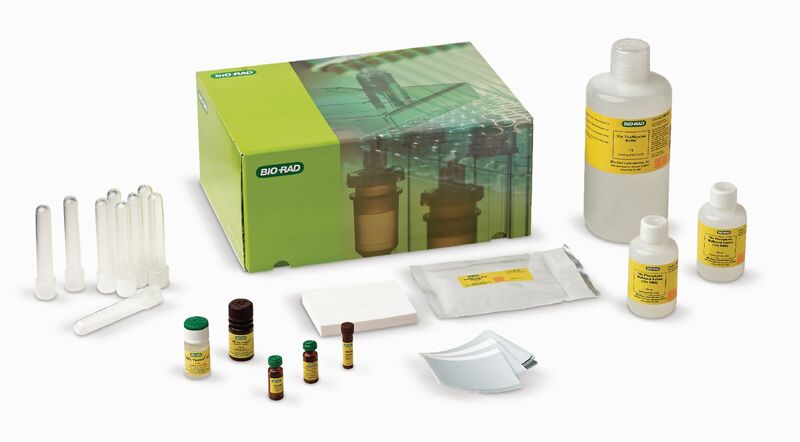 This western blotting activity takes the Bio-Rad protein profiler kit to the next level. Students generate protein profiles from the muscle tissue of closely and distantly related fish and then use the power of western blotting and immunodetection to specifically identify myosin from the hundreds of other muscle proteins in each fish’s profiles. From their protein profiler results, students make educated guesses as to the identities of the proteins in their gels. Via western blotting, antibodies confirm the presence and location of one specific protein, myosin light chain, in each species’ profile. Measurable differences in the molecular weights of the myosin light chain proteins from different species lead students to hypothesize about how these variations relate to evolutionary relationships of the species.